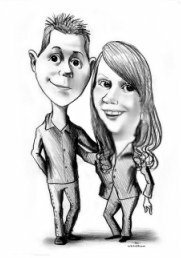 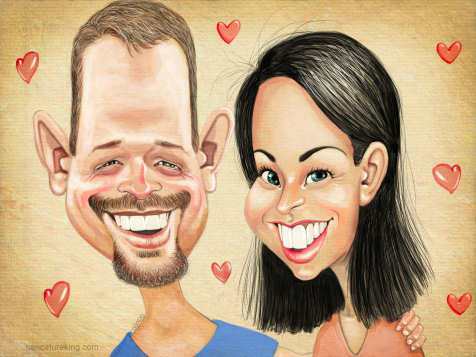 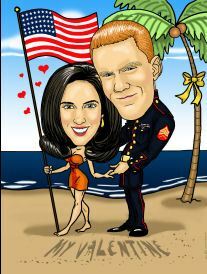 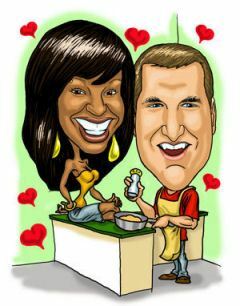 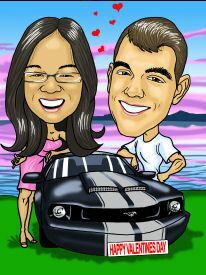 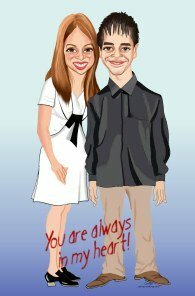 A caricature IS a romantic gift - its all in the pose and the emotion you can portray! 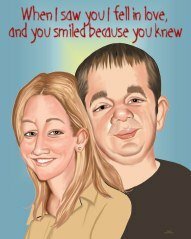 Include a romantic message for even more impact! 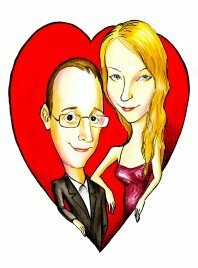 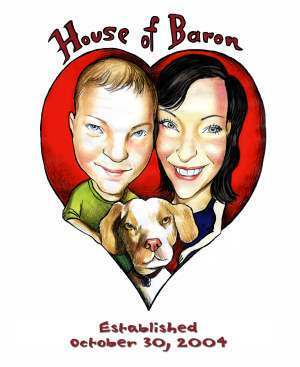 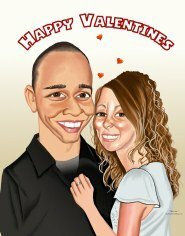 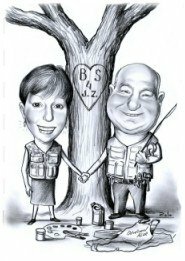 And don't worry, your Valentine's Caricature is 100% unique - we don't start with templates. 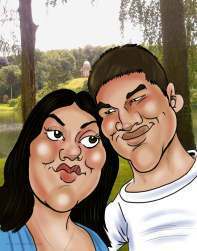 Have a look at some of the samples below for ideas. 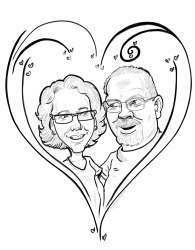 We include your special wording or poem for FREE! 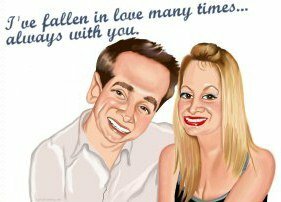 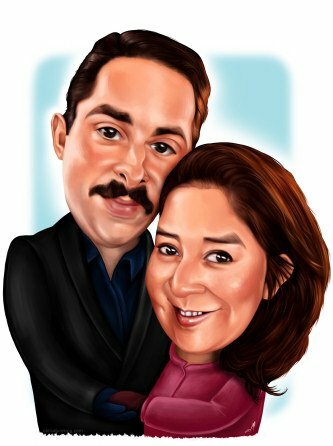 Your special Valentines Day caricature can be in colour or black and white and we draw Valentines gift caricatures from your photo/s. 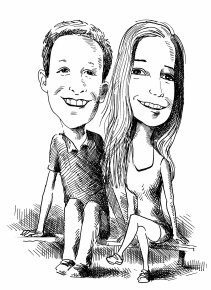 Don't forget, there is a discount of 8% for two people in the one image. 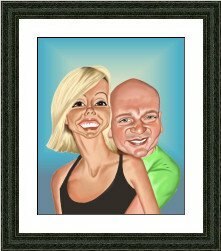 Look at the artist's samples from our experienced professional artists below - you can click through on their names to see more. 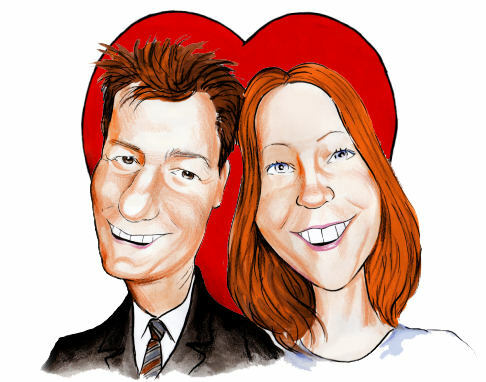 Then simply click the flag of the currency of your choice to start the order process! 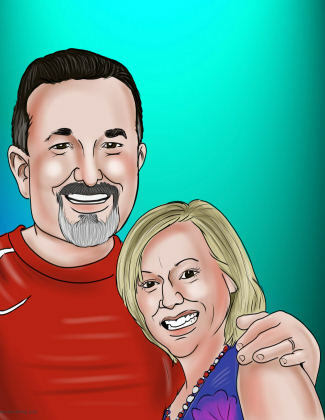 Or click the flag here to get started now. 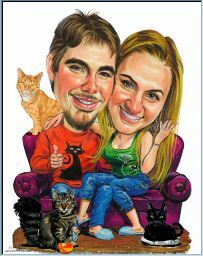 Also email photos to us.